We are pleased to announce that Reach & Match has been approved as a registered provider of ‘Assistive Products for Vision’ for the National Disability Insurance Scheme (NDIS). The NDIS supports people with a permanent and significant disability that affects their ability to take part in everyday activities. The NDIS will work with participants to identify supports required to live life. Supports may help participants achieve goals in many aspects of their life, including independence, community involvement, education, employment, and health and wellbeing. It also focuses on early intervention, where getting early supports can reduce the impact of disability on a child. 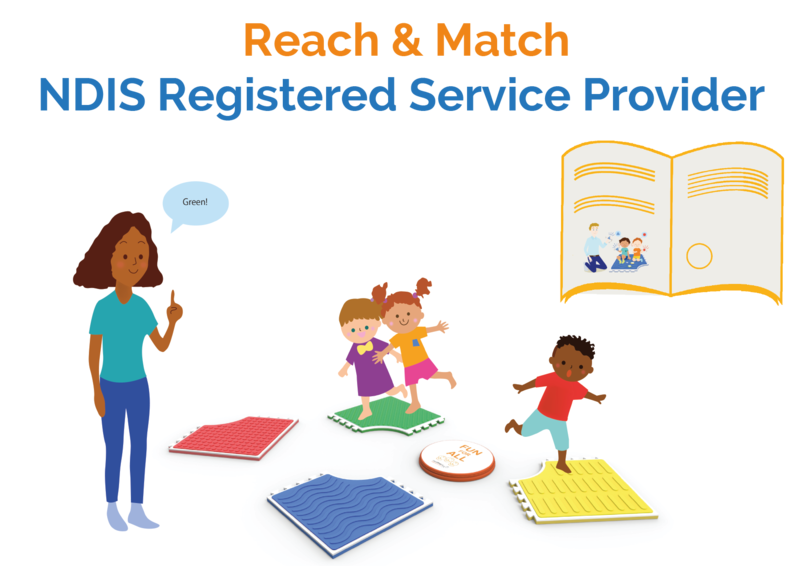 The NDIS will fund reasonable and necessary supports that help achieve the participant’s goals such as ‘Assistive Products for Vision’ such as the Reach & Match learning kit. For more information on the NDIS, check out this link.